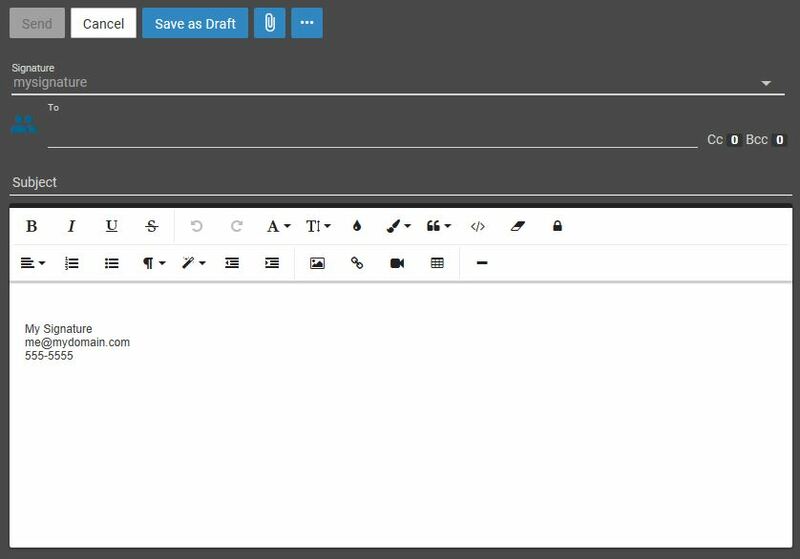 Setting up a signature in Smartermail webmail is simple! Once you are logged in select the Settings icon from the top navigation bar and then go ahead and select Signatures. Now click on the New Signature button. The Signature form should appear and you can now set up your own custom signature! 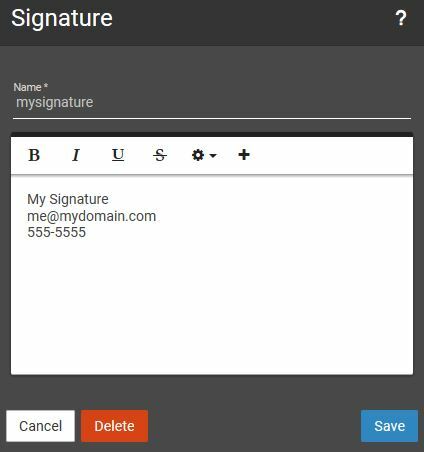 Once you are happy with your custom signature give it a name and click “Save” at the lower right of the signature form. You are now ready to add your signature to new outgoing messages. Let’s go ahead and select your new signature from the signature drop down in a new message (doing this should add your saved custom signature to the new message window). Go ahead and give your signature a test by drafting a test message to yourself to see it in action!